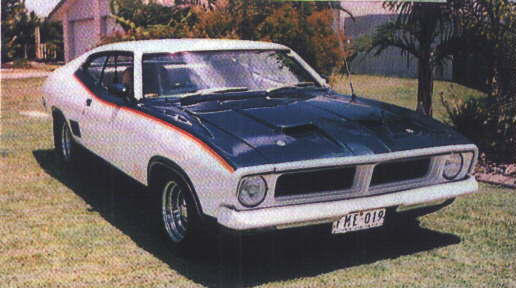 Mid 1975 saw the introduction of John Goss Special which was designed to capatalise on an unexpected and dramatic Bathurst victory by Goss. This special coupe was basically a Falcon 500 with some specific options. There were 260 cars made at $5716 (manual) and $5537 (auto). 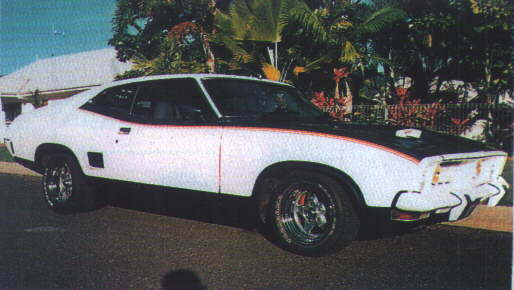 This car boasted a 302cbi V8, sports console, 185/SR14 steel belt radials (tiny), sports handling suspension and rally instrument pack. There were only a choice of two colors although there were many selections of stripes and decals. Color coded front and rear bumpers like the GT and rally-pack type wheels. 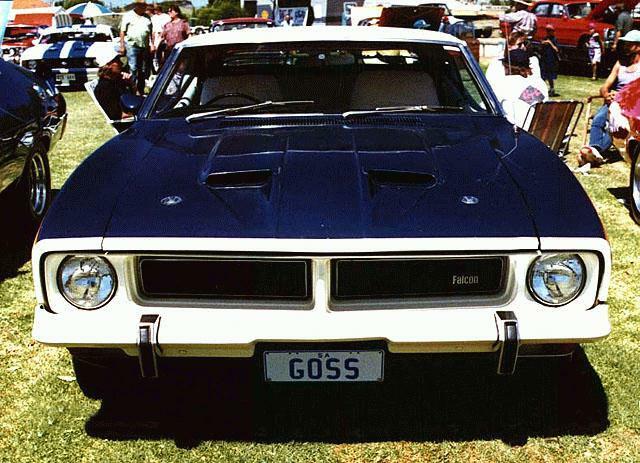 Some individual dealers took it upon themselves to introduce other special components to the John Goss Special like front and rear spoilers and interior options, all this at a hefty cost to the consumer.